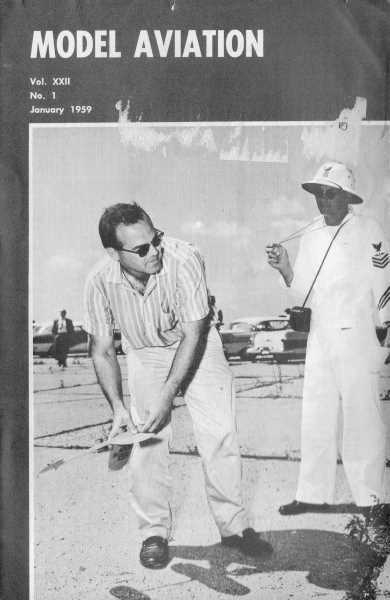 In the 1959 timeframe when this edition of Model Aviation was printed, Jetex engines were very popular, likely because the era was really the dawn of the jet age. Everyone wanted to get in on the act. 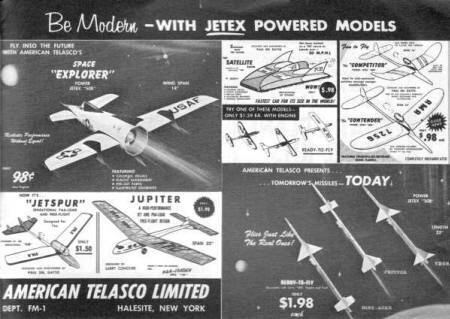 American Telasco Limited, who I had never heard of prior to seeing their advertisement here, exploited the craze by producing a wide range of model aircraft and rockets that were designed specifically for the Jetex engines. If you are interested, here is a page I have posted with Jetex information. I also have some boxes of Jetex fuel pellets available for sale.